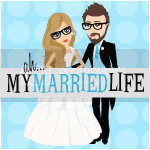 So you might notice I gave the blog a little face lift. I finally created a banner. It was actually REALLY easy. After a lot of thought, I kept the title the same. I really wanted to change it, but I titled this blog during a very important time in my life. It was a time when things were emotional and uncertain. I like the fact that my life is NOT this way anymore. I LOVE the fact that this title no longer accurately describes my life. So I am keeping it. The term "overachiever" originally entered my title after my husband and I both had problems that caused us to fall into the dreaded "infertile" category. 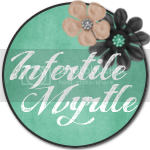 We WERE overachieving at infertility, something no one ever wants to be good at. It makes me smile to know that I have beaten all of that. No, I didn't just beat it, I kicked infertility, threatened miscarriage, pregnancy, AND preterm labor in the A$$. I had a healthy baby boy. I WON! The first picture is a picture of all of my IVF medicine. In the picture it looks like a lot, but it looks like a whole lot more when you realize that it is covering an entire love seat. Laying everything out like that was intimidating. I could feel it all staring at me. In way it was mocking me, and reminding me of how far I had to go before ever actually getting that elusive BFP. That picture is very emotional to me. When I first posted that picture on my blog, I was scared to death. Oddly enough it was the very first picture I ever posted to my blog. The second picture on my new banner is a picture of London on his very first birthday. It was taken one year and nine months after that first picture, and it represents all of the differences that took place in that time span. It is my smiling little boy with red hair and green eyes sitting in the rocking chair that I used to rock him to sleep every single night for almost 365 days. That picture scares me as well. It makes me want to scream "where did my BABY go?" every time I see it. It is also very intimidating to me. The fear fact that he is going to grow up even more every.single.year. makes me want to cry. However, unless I learn to stop time, I better get used to it. The back ground is a picture of my embryos. One of those is London. Well it's probably London. I have a picture of the three that they put back inside me, but only two would fit on the banner. So my fingers are crossed that London is one of the lucky two that made the cut. If not, then it can be a tribute to the only pictures that we have of the other little guys. Ok well that is enough from me from now. I have had a glass (or three) of wine, so I am probably going to start rambling even more than I already have soon. Trust me, it's best that I hit "publish post" NOW. Oh it makes me teary being reminded of how far you have come!! I couldn't be happier for you that you have your precious little man! What a great post!! You have come so far :) Love the new look to the blog as well! !